A few months ago, InterVarsity Press sent me a copy of “Ancient Christian Doctrine vol. 5 – We Believe in One Holy Catholic and Apostolic Church” for me to review here. I’ve delayed writing about it until now because it’s a reference book. How does one review a reference book? I read the introduction – a clear explanation of the book’s content and purpose which also revealed its nature as an ecumenical balancing act – but then I got stuck. A 368 page collection of snippets of writings from the Church Fathers is not meant to be read straight through from cover to cover. It’s meant to be used like a reference book; you have to have an occasion to look things up. Thankfully, the class I’ll be teaching at Upper Room for the next two months has provided the occasion. We’re going to be looking each week at different writings on the nature of Baptism from scripture and leaders of the Church throughout history. Most of the patristic texts I’ll be using are from works I’ve read in their entirety, but it’s difficult and time-consuming to find out who to read on certain topics and also which works are worthy my time and energy. Enter Ancient Christian Doctrine volume 5 (herafter “ACD” for short). As I said above, a collection such as this would be difficult to read straight through. But that’ s why it has multiple indexes (listing both scripture references and authors), biographical sketches of each author cited, an outline of the entire book’s content, and a timeline of writers in the patristic period. But seeing that the Lord says in his own Gospel, ‘The Son of man has come not to destroy the souls of men but to save them,’ we must do everything we possibly can to prevent the destruction of any soul. We need to ask, ‘What can be lacking to one who has been already formed by the hands of God in his mother’s womb? To our way of thinking, indeed, and to our eyes infants after birth appear to grow and increase as the earthly days go by; but as far as God their Maker is concerned, whatever has been made by him is perfect and complete thanks to his handiwork and almighty power. Moreover, the divine Scriptures in which we put our trust declare to us that all, whether infants or older, enjoy exactly equal share in the divine bounty. . . . all people are equal and alike because they have all once been made by God; we may be different, so far as the world is concerned, in the development of our bodies depending on our various ages, but there is no difference between us so far as God is concerned. Cyprian is arguing here that babies are equal with adults in the eyes of God, and therefore just as able to receive the grace of Baptism. This long quotation was taken from “Letter 64” of Cyprian’s extant writings. That particular letter was not included in the edition of Cyprian’s letters which I’d read last spring and had sitting on my bookshelf. It’s always better to read a work in its entirety, rather than a portion without context, but in this case I had no access to Cyprian’s “Letter 64”, much less did I know to look there for his defense of infant baptism. 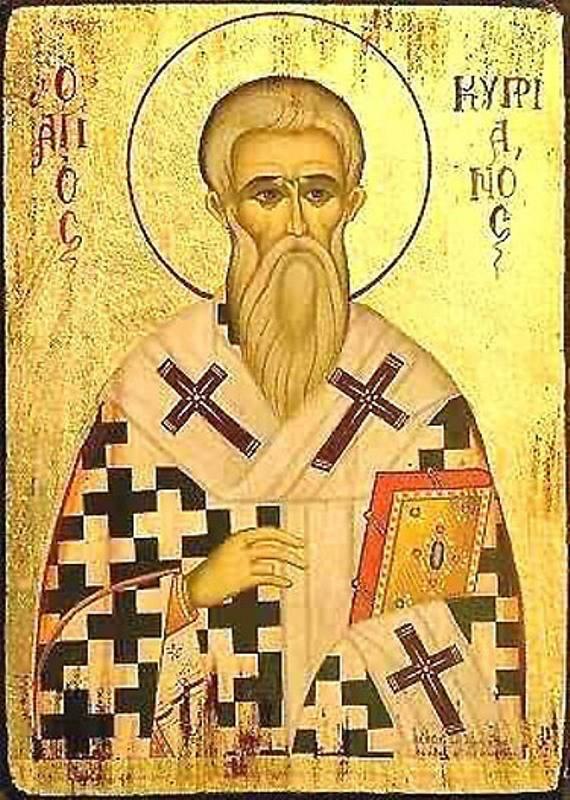 And, in the surrounding quotations I learned that Irenaeus of Lyons, Hippolytus, Origen of Alexandria, and Augustine of Hippo all agreed in support of infant baptism. The ACD was very helpful indeed. Thank you to IVP, Angelo Di Berardino, and Thomas Oden for prodiving this resource for the Church.